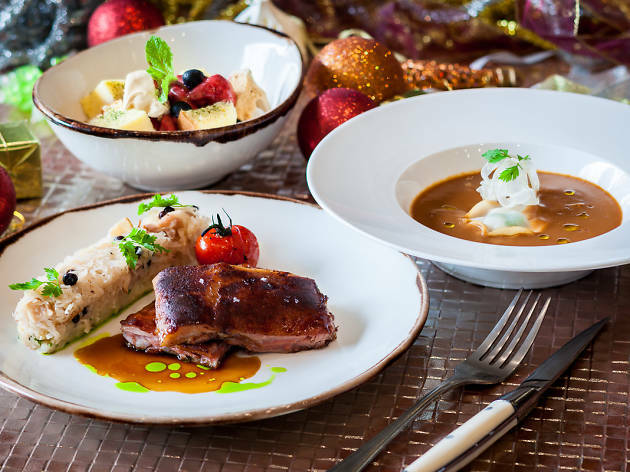 Escape the traffic jams at Orchard road this December and dine in the peaceful setting of Porta Fine Food & Import Company, while indulging in its new festive menu. Those with seafood cravings will be glad to see cognac-scented lobster bisque ($16) and gravlax of Norwegian salmon laced with avruga caviar ($16) on the menu. Want something a little more hearty? 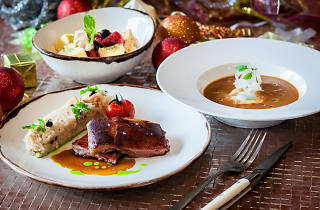 Go for the pepper steak served with irresistible thick-cut fries ($38) and roasted French quail with brussels sprout, bacon and natural jus ($34).